I am very excited to have represented a Buyer in the purchase of 29 433 Seymour River Place in the Maplewood area of North Vancouver. This off market and unique end unit townhome was acquired by my client through my network of North Vancouver Realtor contacts. Through these connections, we were able to obtain the most desirable unit in this strata in a non competitive offer situation. Congratulation to my client who will be moving up the property ladder from a one bedroom condo to a 1100sf 2 bed 2 bath townhome over two levels. This lovely townhouse Located in new “MAPLEWOOD VILLAGE” tucked away at the end of a cul-de-sac. The main floor boasts a modern open plan with over height ceilings. 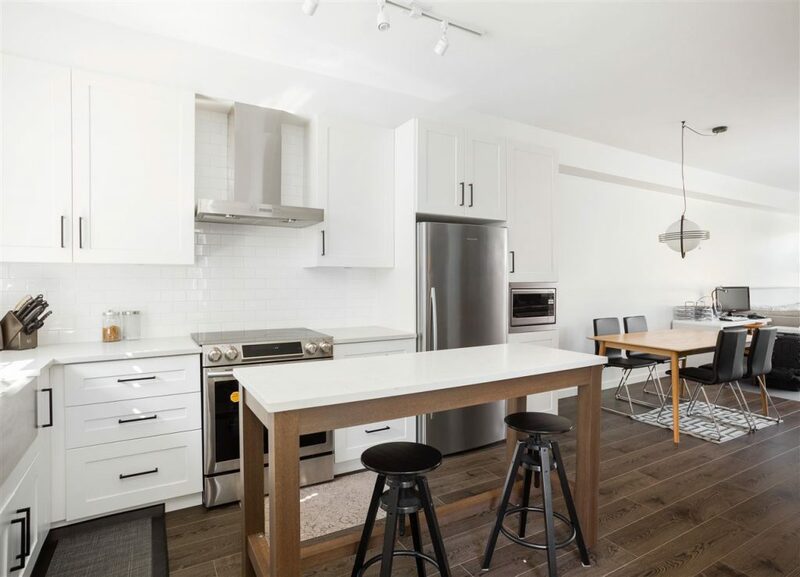 Gourmet Kitchen highlights include a convenient island, pantry, caesarstone quartz composite countertops, soft close cabinets and drawers & stainless steel appliances. There are 2 large bedrooms up with 2 full baths & a master en-suite plus his & her closets. Easy access to “2” underground parking stalls w/ room for bikes and 1 storage locker. Remaining balance of 2-5-10 National New Home Warranty included. Easy access Second narrow bridge/shopping’s/ trails/ parks and a lot more that this Village has to offer.